DUE TO ISSUES BEYOND OUR CONTROL WE WILL BE TEMPORARILY CLOSED. PLEASE KEEP CHECKING THIS WEBSITE FOR UPDATES AND FEEL FREE TO CALL OR EMAIL. SEE YOU ALL SOON AND THANK YOU FOR YOUR SUPPORT! 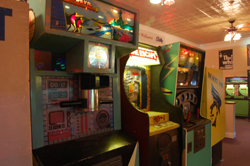 Remember playing your favorite games at the local arcade, bowling alley, summer camp, or bungalow colony as a kid or teenager? They seemed larger than life and still do! Remember hearing your favorite tunes on the jukebox when songs were songs and you had to change sides in the middle of the record? Scores of classic handheld games are on display by companies like Bandai, Coleco, Entex, Epoch, Mattel, Tandy, etc. 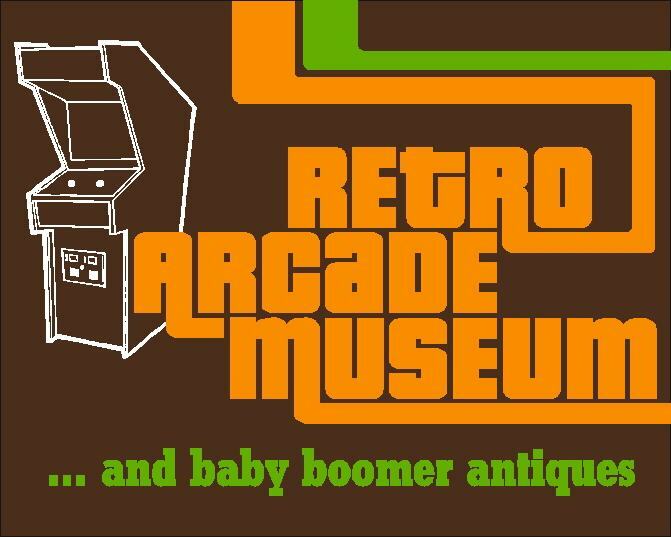 The world's very first video games, including examples of virtually all Atari, Magnavox Odyssey, Mattel Intellivision, Telstar, Vectrex and more are on display &.some available to play! You can even choose from our enormous music library and vintage TV shows like Welcome Back Kotter, The Mary Tyler Moore Show, S.W.A.T., and dozens more including the original commercials from that era. It's a real trip back in time! Located in picturesque Beacon, NY, renowned for fine art galleries, restaurants, and museums, we are easily accessible from NY, NJ, CT, the Hudson Valley and Westchester -- just over an hour's drive from NYC, a few blocks from the Metro North Train Station, and with plenty of free parking. Special packages for up to 40 people in a completely safe, private arcade setting with your choice of music, food, and vintage television. Are you ready to step back in time to a full sensory experience? 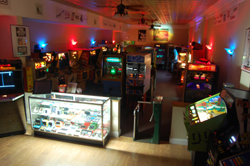 Come join us at the Retro Arcade Museum! MORE PHOTOS ON THE GAME ROOM PAGE! 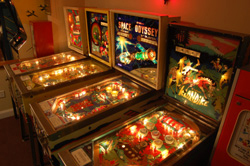 © Copyright 2007-2010 Retro Arcade Museum and Baby Boomer Antiques. All Rights Reserved.